"(I am) Very sorry to say, I don't like to criticise constitutional authorities, but when constitutional authorities attain absolute power, they can become more corrupt than politicians," said the Goa Chief Minister. Panaji: Goa Chief Minister Manohar Parrikar today said when constitutional authorities attain absolute power, they could become more corrupt than politicians. Mr Parrikar had on Tuesday recommended an audit of the "seemingly exorbitant" reimbursement claim of Rs 16.86 crore raised by state electoral officers against the expenditure incurred by them during the Goa Assembly elections in February. According to the Chief Minister, the officials had hired vehicles in addition to the several already roped in from various departments for the election duty. "For two-and-a-half months (of election process for the Goa Assembly polls), the Election Commission has given a bill of Rs 16.80 crore. They were going around in the vehicles," he said while addressing an event organised by state-run Economic Development Corporation. 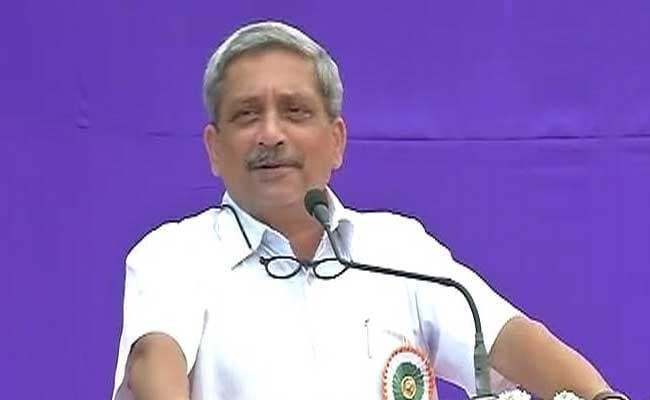 "(I am) Very sorry to say, I don't like to criticise constitutional authorities, but when constitutional authorities attain absolute power, they can become more corrupt than politicians," Mr Parrikar said. "Politicians have to come before you (people) every five years. I have to answer to the media, rightly or wrongly, 24 hours. If anything happens, a politician has to answer," he said. "If garbage is dumped on the road, politician has to answer. Actually, the garbage is dumped by some hotel or some locals. I don't mind this (being accountable) but this kind of accountability has to be there everywhere (even for constitutional authorities)," the Chief Minister said. Pointing out to the delay in holding election in some panchayat wards following a court order, Mr Parrikar asked, "Who should be held responsible for the delay in the election in these wards?" "There is no accountability of the State Election Commission. If politicians were responsible for the delay, they would have been criticised. It is very easy to target a politician," he said. The Election Commission had in February issued a notice to Mr Parrikar over his purported remarks advising bribery for votes during the state Assembly poll campaign. However, he had said his speech was translated wrongly. Mr Parrikar, who was holding the Defence portfolio at the Centre then, was served a fresh notice by the Election Commission on February 7 seeking his reply on his reported bribery remarks, days after issuing a similar notice. The poll body had rejected Mr Parrikar's claims that his election speech in Goa made in Konkani was translated incorrectly.